Let us help you explore the options you have with a FREE consultation. Call now and we can arrange an appointment. There is a lot of incorrect information on the internet...and lots of companies and people trying to take advantage of people who are not in a good place in their lives right now. We can work with you to help change that. One of our biggest rewards is when, after a consultation, a client calls to tell us that the night of our consultation was the first time in months they’ve been able to sleep the whole night through. We’re local real estate agents who care about you and the community in which you live. We can help you avoid foreclosure and the damage it causes to both your credit...and your life. Foreclosure is not always the only answer. There may be a number of better solutions for your particular situation. 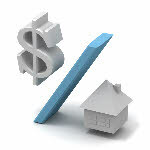 If you are not located in Southeastern Wisconsin and need help with your mortgage situation, call us toll free at: 877-525-0563 and we will arrange for you to have a FREE consultation by a qualified professional who lives in your area, has a vested interest in your community and is licensed to help in your particular state. We understand how fear can paralyze you to the point of not feeling as though there is anything you can do. But the sooner you call, the more options you’ll have to resolve your situation. There are many scam artists waiting to take your money and tell you they can resolve your situation for a fee. Our service is at no charge. We have licensed professionals on our team including an attorney and a title specialist. Calling us is the call that can start your life over. Make the call now. No matter where you are or what you have been told in the past, talk to us and let us help you begin to enjoy life the way you were meant to enjoy it. We can turn the nightmare you’re living into the dream it can become.